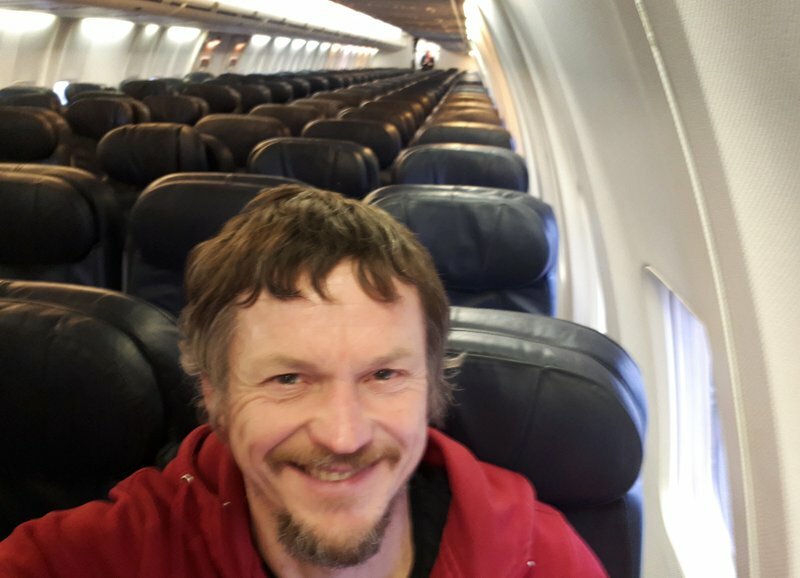 A Lithuanian man by the name Skirmantas Strimaitis recently got a pleasant surprise when he boarded a Boeing 737-800 to Bergamo, Italy. He was the only passenger. Strimaitis was flying from Vilnius to Northern Italy for a skiing holiday. His stars were aligned that day because as it turned out, the plane had been chartered to fly a group from Italy and to avoid flying back empty, one-way tickets were sold. He’s the only one who bought a ticket. The only other people onboard the 188 passenger plane were two pilots and five crew members. Strimaitis would later describe the more than 2 hours flight as a once in a lifetime experience.